When the human chatter of social networks starts to make me a little crazy, I know it’s time to step away from the computer and have a sane conversation with my two tabby cats. Our pets often bring out the best and brightest in us, so it’s only fair that the Internet, which takes us away from our furry companions so much of the time, rewards our four-legged friends for all that they do for us. Dealwagger is daily deal site and pet owner social network that looks to make giving dogs and cats what they deserve a little easier. Discounts, online pet store, information and advice, community events, rescue efforts–Dealwagger hopes to grow into THE place to satisfy all pet needs. 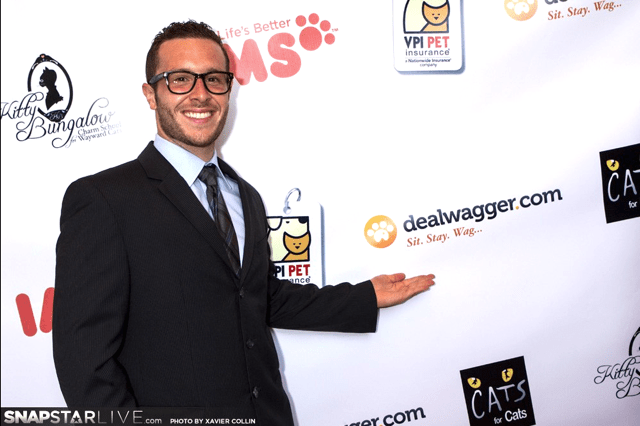 Co-founder and CEO Kevin Opos shared more about his puss-in-bootstrapping venture, discounted pet products, and the world of daily deals with KillerStartups. No lint roller required. 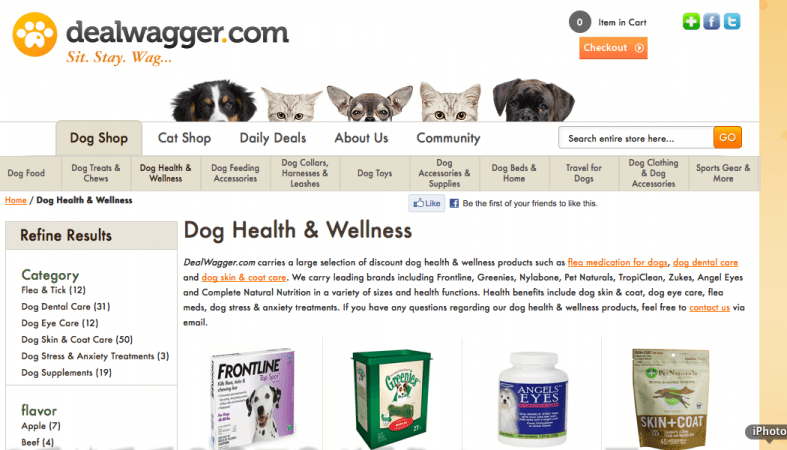 We had an idea to start a “Daily Deals” website for the community of dog and cat owners. On the second night after the birth of our concept, as my head hit the pillow for sleep, “Deal Wagger” popped into my head and I immediately awoke and purchased the domain because I knew it was the one. We’ve invented the word “Dealwagger” to be synonymous with a bargain hunter. I check my e-mail and scan them for any critical updates or changes to our website and/or business as a whole. My two partners Nathan and Maor are in NY so they are already 3 hours ahead as is. We started the company with 3 people and we have 5 employees who work for us now. Prior to becoming a part of the pet industry officially, we really had no connections to existing companies in the industry. So we did our research and registered for our first Pet Industry Trade show in Las Vegas called Super Zoo. We arrived from LA and NY and appeared professional with polo shirts that we had printed with a temporary logo and we literally introduced ourselves to one business at a time. We were welcomed as members of the community immediately since we had a lot of enthusiasm and a great concept. I handle frustration by venting to trusted individuals, usually my partners or a mentor, receiving advice and reflecting on the issue at hand logically. I’ve realized early on that any frustrating situation that arises now is a learning opportunity because this is nothing compared to decisions that lay ahead on a larger scale. Our offices are split in NY and LA, so we have to do without seeing one another in person. In NY, the office is is always in good spirits– they groove to easy listening music kept in the background. In Los Angeles, I work out of my apartment–so depending on the current task at hand, I play relaxing music like an awesome upcoming band called Polica, or I prefer it completely silent so I can focus on research, writing, and phone calls. There are always ideas flying around from one coast to the other. I picture my company as a one stop shop for everything pet– everything dog and cat more specifically. From ordering all of your pet supplies online shipped to your door, to discounts on local pet services, to information about local events, volunteer opportunities, adoption fairs, and providing a directory for every city in the U.S. for pet service-related or pet-friendly businesses. Overall, we picture ourselves as a cohesive community of pet parents who share resources, advice, and help save you money while supporting animal charities. What inspires me the most is when I meet and speak with people who back up their words with action. I’ve realized that the most important trait you can find in a partner or employee is someone who doesn’t make excuses and just gets work done. Being a “self-starter” is an accurate term to describe this. Yes. Network, network, network. You can get some services paid for if you network and provide referrals to a contractor that you already pay to use. Just ask. I would open a gym that had fitness/nutrition programs for younger AND older folks who struggle with their weight and self-image. No, I do not consider myself a successful entrepreneur yet. Our company is still very young and has a lot of potential to gain ground in our industry. Fiverr.com. I’ve gotten many tasks completed by paying only $5 when other contractors are charging more than quadruple the price for the same task. It’s saved us tons of money. Shazaam. I still really appreciate the ability to tag a song on the spot if I don’t know the name. Prior to Shazaam, I remember going into a Warehouse Music store and attempting to sing the lyrics of a song in order to figure out the artist and song name. The song I attempted at the time was “Snow-Informer” for any 90s kids out there who remember when that came out. Both. I have joint custody of 2 dogs from a past relationship and I rescued 2 cats on my own. One of them decided she liked my sister better and now lives with her, though. Its fun to purchase products from my own website to test it out on my babies. What’s the greatest thing about your website? We have opportunities to partner with organizations in order to find forever homes for dogs and cats who are on death row in shelters. So actually saving pets’ lives is the greatest thing imaginable that we could accomplish. In addition, we get to talk about cool pet stuff all day. I can be reached on Facebook, Twitter, Blog, and on Instagram. Lastly, which celebrity would you want as the spokesperson for your brand?